The UK 'Winter Fuel Payment 2019' helps older people pay their heating bills. Find out who qualifies for the winter heating allowance this year, when it gets paid, and how to claim. WINTER FUEL PAYMENT 2018/19: There is a qualifying age for winter heating allowance. The payment is only for older age pensioners (OAP). The 2019 Winter Fuel Payment allowance is for elderly citizens. You must have been born on or before the 5th of November 1953 to qualify. It means that most seniors are eligible to get the pensioners winter fuel allowance 2019. If your age is 64 or over, you could claim £100 to £300 tax-free benefits. As a rule, the Winter Fuel Payment for pensioners is automatic. It gets paid into a secure account along with other welfare payments. Those who qualify should get the money between the first week of November and the last day of December. Note: The exact Winter Fuel Payment date changes each year. This is only one of the winter fuel benefits. You might also qualify for Cold Weather Payments and the Warm Home Discount Scheme. Most seniors should get their heating allowance payment before the Christmas holiday periods. But, there is a set qualification criteria. You must be getting the State Pension or certain other social security benefits that qualify. The Winter Fuel Payment could help you pay your heating bills through the cold months. Contact the office that pays your benefits if you qualify - but do not get paid. In some cases, you may need to make a claim using the application form (see below) or by telephone. Note: Claiming the Winter Fuel Payment 2018 to 2019 does not affect your rights to other benefit entitlements. 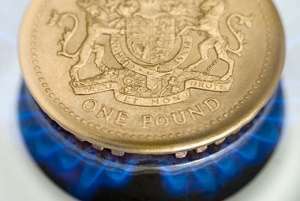 How much is Winter Fuel Payment? The exact amount you get can vary. It depends most on your situation during the actual qualifying week. The qualifying week for wintertime heating allowance 2018 to 2019 is the 17th to the 23rd of September. The payments you get are TAX FREE and will not affect your other allowances or benefits. Note: *Associated Benefits: Income-related Employment Support Allowance, Income Support, income-based Jobseeker's Allowance, and Pension Credit. As a rule, the pensioners heating allowance payments start at the same time as the British cold months begin to bite. The Winter Fuel Payment is usually transferred from November to the end of December. That means you should get the payment no later than the 14th of January 2019. Like most benefits and allowance payments, the money goes straight into a secure account. The benefits Winter Fuel Payment Office send you a letter stating how much you will get. The letter also confirms when the scheduled dates for the Winter Fuel Payment 2018 to 2019 will be. Seniors will appreciate some financial help to cover the cost of staying warm in the cold season. The question you will be asking is: who qualifies for winter heating allowance 2018/19? More important is, 'what is the winter heating allowance qualifying age' and the 'Winter Fuel Payment eligibility' criteria? Were born on or before the 5th of November in 1953 (the qualifying date changes each year). Live in the United Kingdom for at least one day of the 'qualifying week'. That means the week of the 17th to the 23rd of September 2018. In some cases you can still get the payment even if you live in Switzerland or one of the European Economic Area countries. You would need to have a genuine link with the social security system in the United Kingdom. A typical example would be someone who has lived or worked for most of their life in the UK. Note: If you get Child Benefit, Council Tax Reduction, Housing Benefit, or Universal Credit it will not result in an automatic qualification. You cannot receive the winter heating allowance 2018/19 payment if you live in certain countries. In fact, parts of the EEA have cold season average temperatures higher than the warmest areas around the UK. These include France, Cyprus, Greece, Gibraltar, Portugal, Spain, and Malta. Are serving a sentence inside a prison during the entire qualifying week. Are getting free treatment in hospital for more than 52 weeks. Need permission to enter the UK and cannot get help from the Department for Work and Pensions. Were living in France, Greece, Gibraltar, Cyprus, Portugal, Spain, or Malta. Have lived inside a care home for all 12 weeks between the 25th of June and the 17th of September 2018 getting Income Support, income-based JSA, income-related ESA, or Pension Credit. You should report any change of circumstance to the office that pays your benefits. Circumstantial changes can affect how much winter fuel benefit you get. You must write to keep them informed because the Winter Fuel Payment is automatic. A typical example could be if the qualifying person stops receiving their benefit. Also report changes if they move out, go into care, or die. You are not getting the State Pension or any other welfare benefits. Claiming may also be necessary for those who deferred a pension. Your current claim is only for Child Benefit, Housing Benefit, Council Tax Reduction or Universal Credit. Exceptions also apply if you receive benefits or the State Pension but you live in an EEA country or Switzerland. Exclusions include France, Cyprus, Gibraltar, Malta, Greece, Spain, and Portugal. People who have claimed it before should get an automatic payment. You should receive it again from the same organisation that pays your benefits. You can contact them if you need further help or to report a change in your situation. If you need to claim Winter Fuel Payment 2019 you must do it before the deadline '31st of March 2019'. If you are a new claimant you should contact the Winter Fuel Payment helpline to make your first claim by phone. Check phone call charges in the United Kingdom. Your unique National Insurance (NI) number. Details of your bank or building society account. BIC and IBAN numbers (those who live in Switzerland or EEA country). The date that you got married or the date you entered into a civil partnership (where appropriate). Note: As a rule, payments cannot go into a National Savings and Investments (NS&I) account. The exception could be if you already have other benefits paid into that account. Hospital and receiving free in-patient treatment. Ilford Park Resettlement Home or a residential care home. Prison or in custody (serving a court sentence). There are two different types of winter fuel allowance application forms. The form you need depends on which country you are living in. Click for the 'Winter Fuel Payment claim form for winter 2018 to 2019' on the GOV.UK website. Click for the 'Winter Fuel Payment EEA and Switzerland claim form for winter 2018 to 2019' on the GOV.UK website. People who live in the United Kingdom should send the claim form to this Winter Fuel Payment Office address. Those who live in Switzerland or another EEA country should send the claim form to this address instead. If you disagree with a decision you can appeal to the Social Security and Child Support Tribunal. Rule changes mean you must now ask for 'mandatory reconsideration' before you make the appeal. Note: You can also complain to the Department for Work and Pensions if you are unhappy with the service they have given to you.